After a long day, it’s nice to kick back with your sweetie and have a drink. 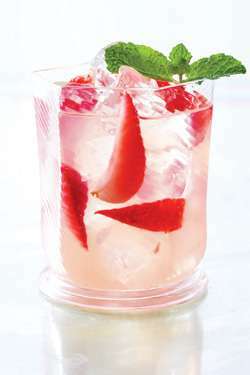 Nothing beats the summer heat like a cool, refreshing cocktail. Plus, what’s more fun than getting tipsy with you special someone? Fruity and sour, cherrylicious and chocotastic, we've rounded up our ten favorite romantic cocktail recipes for your enjoyment. Juliet and Romeo: for the star-crossed lovers. Rose water, lime, cucumber, mint and gin. Yum! A Rainbow of Love: for the couple that loves to show off their relationship. Yet another culinary gift from Italy. Touch of Venus: For when you’re feeling artistic…and a little bit naughty. White wine meets lemony goodness. Chocolate Mandarin Dream: for the couple looking to rock their inner child with a chocolaty delight. Passion Flower cocktail: for an effortlessly exotic evening. Mangoes and passion fruit and champagne, oh my! The Lover: do we really need to tell you what this one is for? Kiss Me: for when you really need to get your point across. 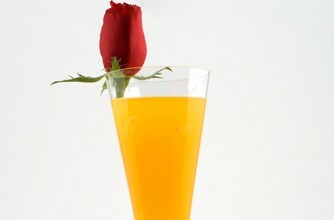 Amour a Mosa: to start your day off good and tipsy. 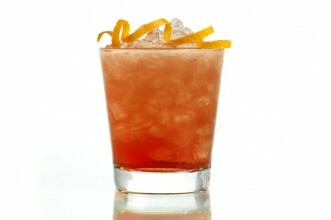 Agave Kiss: for those looking to kick-start an adventurous evening. Cherub’s Cup: for those little angels…that just want to get buzzed. When strawberries alone just won’t cut it.